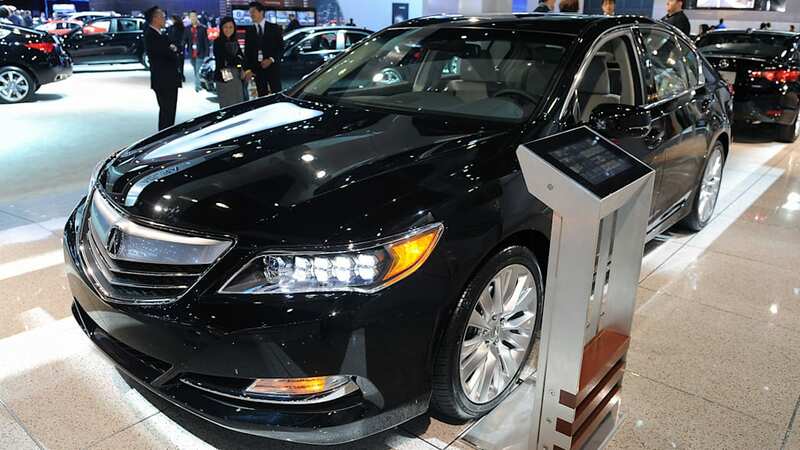 Acura has released pricing for its upcoming flagship, the RLX, at the Detroit Auto Show this week. Powered by an all-new direct-injected 3.5-liter V6 rated at 310 horsepower, the front-wheel-drive sedan replaces the outgoing RL model (2011's worst-selling car of the year) as the automaker's new flagship. 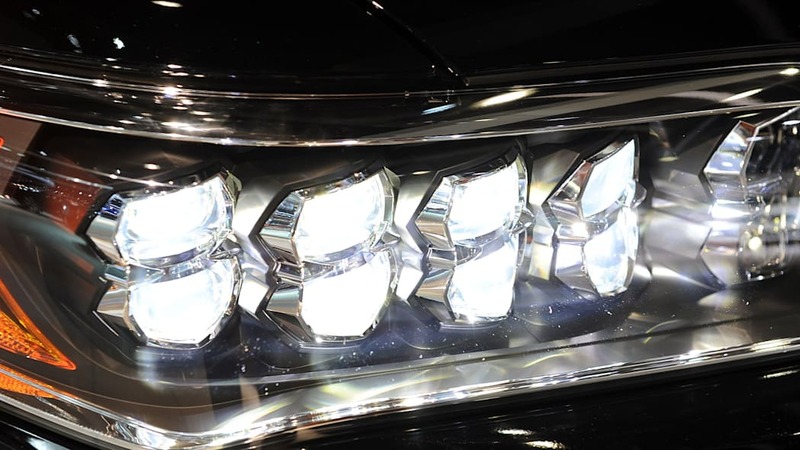 In addition to boasting the most spacious passenger cabin in its mid-luxury class, the new range-topping Acura features the automaker's first-ever application of Precision All-Wheel Steer and Jewel Eye LED headlamps. Standard equipment includes Lane Departure Warning and Forward Collision Warning, with Collision Mitigation Braking System (CMBS), Lane Keeping Assist System (LKAS), Adaptive Cruise Control (ACC) with Low-Speed Follow, and Blind Spot Information (BSI) system trim and option specific. While the new model doesn't officially go on sale until mid-March, to provide potential customers "with the opportunity to experience the numerous new technologies," Acura will preview its sedan at dealers during a "Destination RLX" program beginning in February. As previously mentioned, an even more powerful version of the RLX, equipped with Acura's new Sport Hybrid Super Handling All-Wheel Drive (Sport Hybrid SH-AWD) and a 370-hp powerplant, will debut later this year. 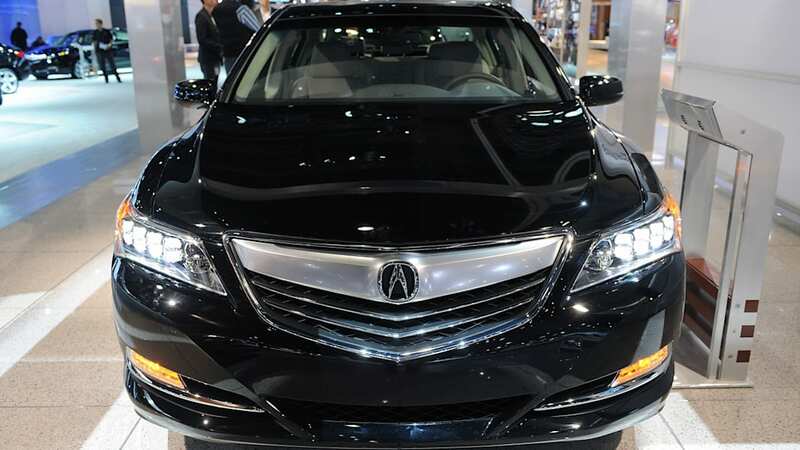 The all-new 2014 Acura RLX flagship sedan will debut at Acura dealerships on March 15, 2013, with a manufacturer's suggested retail price (MSRP) starting at $48,450*. Featuring an all-new 310-horspower direct-injected SOHC i-VTEC V-6 powerplant, the most spacious passenger cabin in its class, and the first-ever application of signature Acura technologies including Precision All-Wheel Steer™ and Jewel Eye™ LED headlamps, the RLX delivers new levels of technology-enhanced performance, safety, and luxury-class comfort to Acura's range-topping sedan. 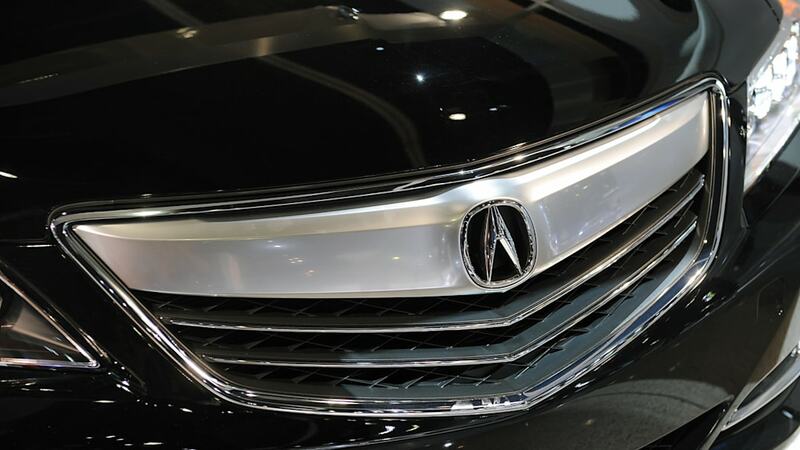 "With an array of signature Acura technologies, the 2014 Acura RLX sets a new standard for luxury in the Acura lineup," said Jeff Conrad, vice president and general manager of Acura Sales. 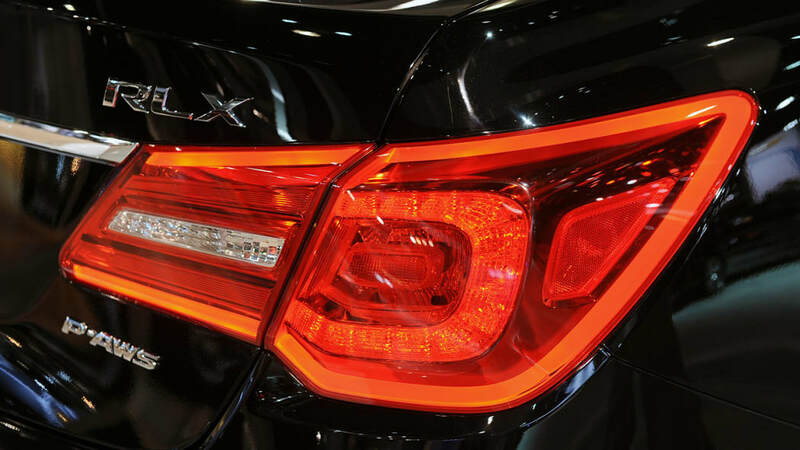 "The feature-rich RLX epitomizes Acura's 'Man-Machine Synergy' product direction, utilizing advanced technology and smart vehicle design to deliver incredible performance, comfort and value on a luxury scale." In February, Acura dealers will kick off the "Destination RLX" client experience program – with every Acura dealer nationwide featuring two 2014 Acura RLX sedans, weeks ahead of the March 15 on-sale date, providing Acura clients with the opportunity to experience the numerous new technologies available on the RLX luxury performance sedan. 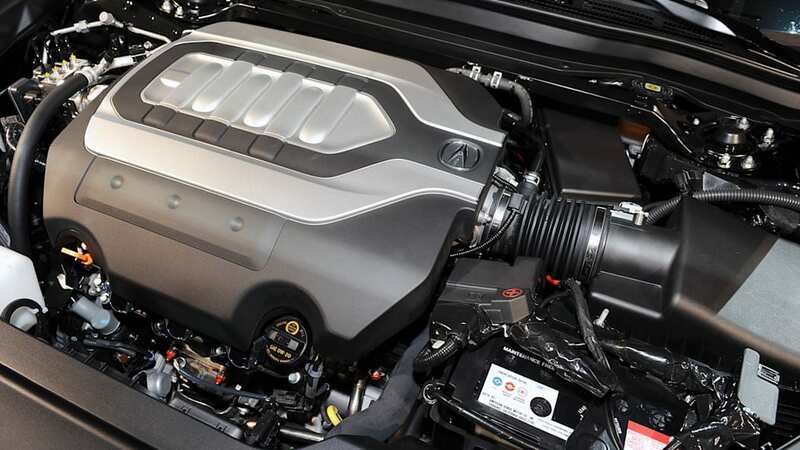 The 2014 Acura RLX is powered by an all-new, 310-horsepower, direct-injected SOHC 24-Valve i-VTEC® V-6 powerplant, Acura's first-ever direct-injected engine architecture. Utilizing Variable Cylinder Management™ (with the ability to deactivate the rear bank of three cylinders) in combination with a lightweight and aerodynamic body design, the new Acura RLX is anticipated to carry a class-leading EPA fuel-economy rating of 20/31/24 mpg1 (city/highway/combined). 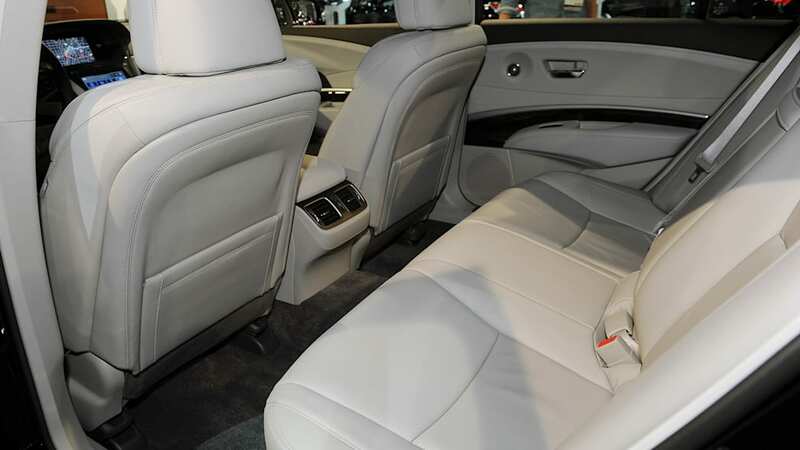 With the longest rear-seat legroom (38.8 inches), longest tandem seating distance (36.4 inches), and widest front and rear shoulder room in the mid-luxury class, the new RLX delivers full-size interior space in a nimbler, more efficient midsize luxury sedan exterior package. Featuring the first-ever application of Acura Precision All-Wheel Steer™ (P-AWS) the RLX achieves new levels of handling agility, high and low-speed maneuverability, and confident handling control for a two-wheel-drive luxury sedan. Precision All-Wheel Steer is the world's first technology to feature independent and continuous control of the left and right rear-wheel steering (toe) angles. Its benefits include crisper lane changes, more nimble cornering, enhanced dynamic response, tighter radius low-speed turning, and confidence-inspiring control. 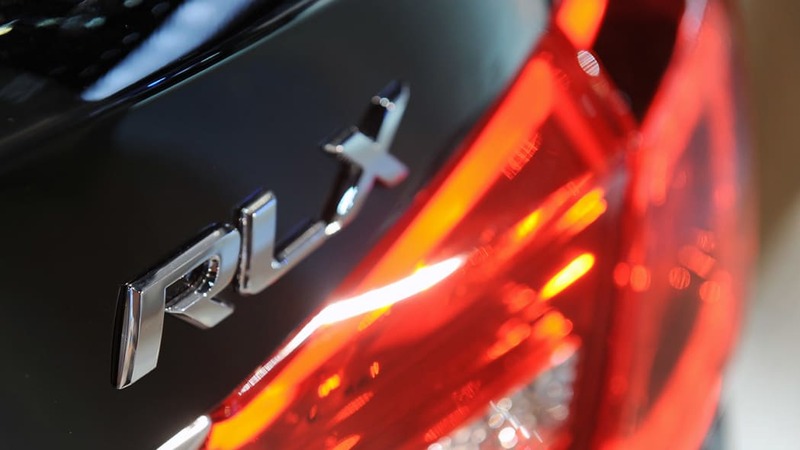 As previously announced, a version of RLX featuring Acura's new Sport Hybrid Super Handling All-Wheel Drive® (Sport Hybrid SH-AWD®) technology, producing 370 horsepower with expected EPA fuel-economy ratings of 30 city/30 highway/30 combined, will debut later in 2013. Further, the new RLX confidently competes in the high-end luxury sedan market with an incredible array of leading-edge technologies, including the next-generation AcuraLink® cloud-based connected car system with AcuraLink Real-Time Traffic™ featuring freeway traffic and, for the first time, surface street traffic information.New standard safety technologies include Lane Departure Warning and Forward Collision Warning, a driver's knee airbag, and the next-generation of Acura's Advanced Compatibility Engineering™ (ACE™ II) body structure; along with available Collision Mitigation Braking System (CMBS). 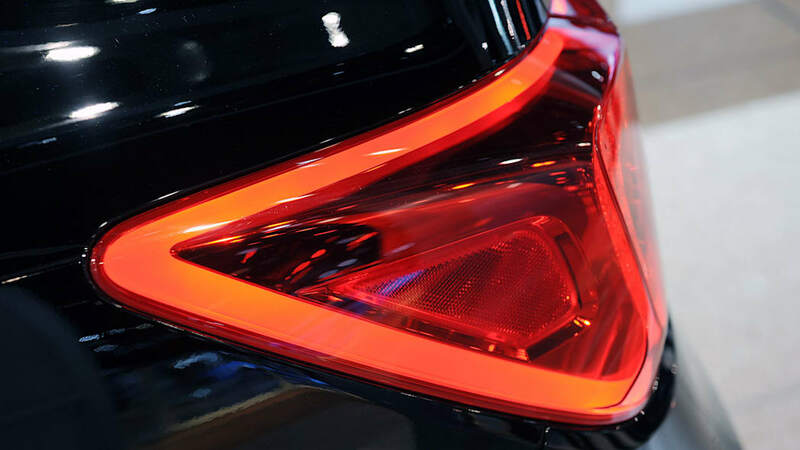 The RLX will also offer a bevvy of leading-edge visibility and driver-assistive technologies, including Lane Keeping Assist System (LKAS), Adaptive Cruise Control (ACC) with Low-Speed Follow, Blind Spot Information (BSI) system, Multi-view Rearview Camera, Expanded View Driver's Mirror, and front and rear parking sensors. 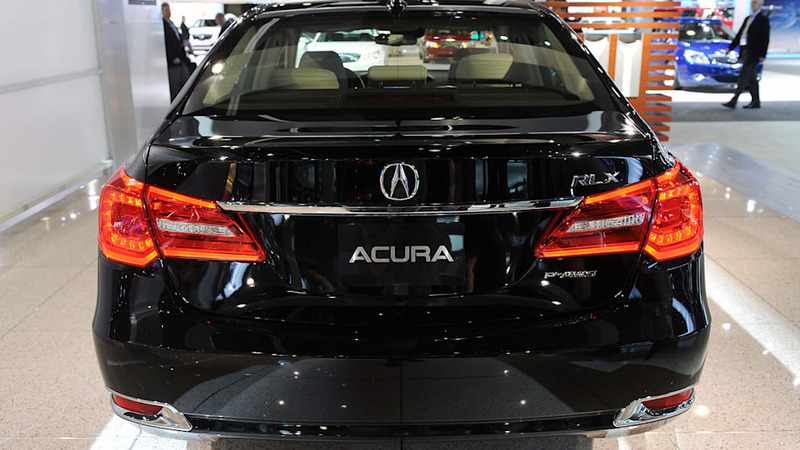 The 2014 Acura RLX will be available in five grades – the well-equipped RLX, the RLX with Navigation, the feature-packed RLX with Technology package, the RLX with Krell Audio package, and the top-of-the-line RLX with Advance package. 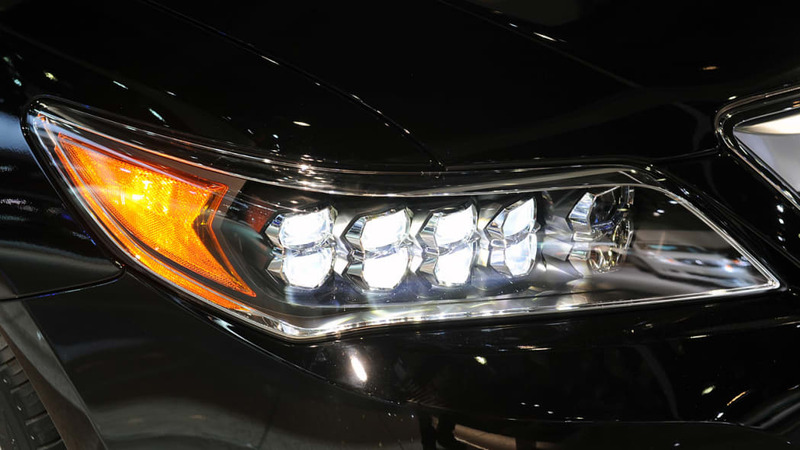 The RLX follows an "aero-fused" exterior design motif with its wide and athletic stance, sharp upswept bodylines, aerodynamic greenhouse, and distinctive new Jewel-Eye™ LED headlights offering improved down-the-road illumination and lighting characteristics. 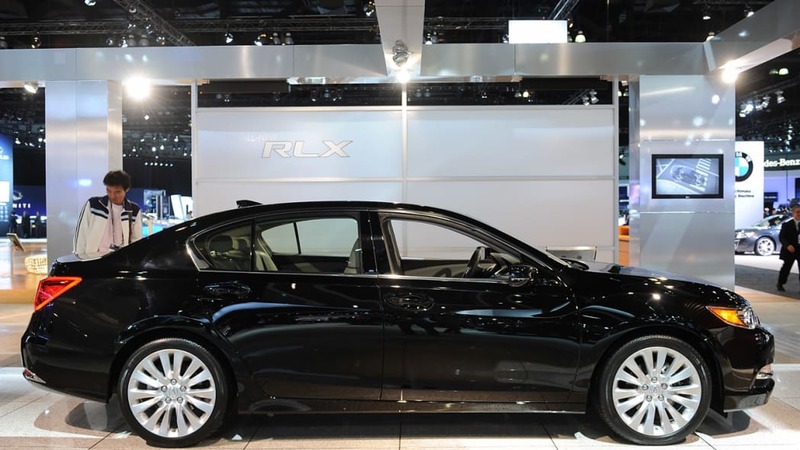 The RLX's sleek upper body combines with aerodynamic features to deliver best-in-class levels of aerodynamic efficiency. Seven spoke 18x8J aluminum-alloy wheels and 245/45 R18 all-weather tires are standard, while Technology, Krell and Advance grades feature 19x8J wheels and 245/40 R19 tires. 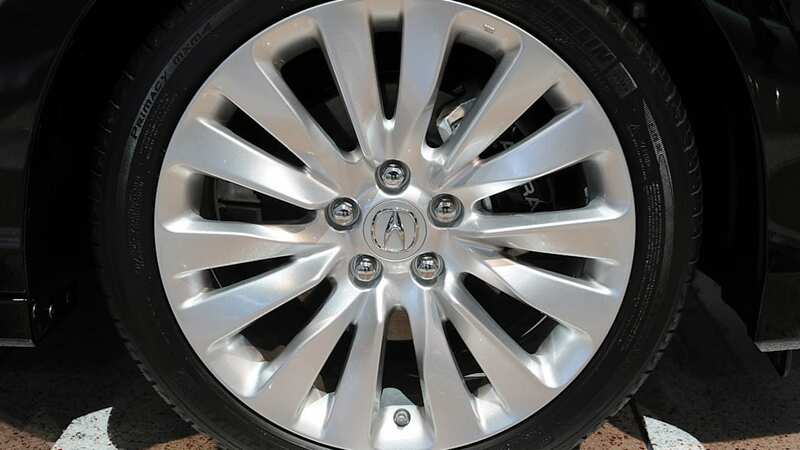 The RLX's alloy wheels also feature a noise-reducing design that lowers tire noise by 7 decibels across the audible frequency range. 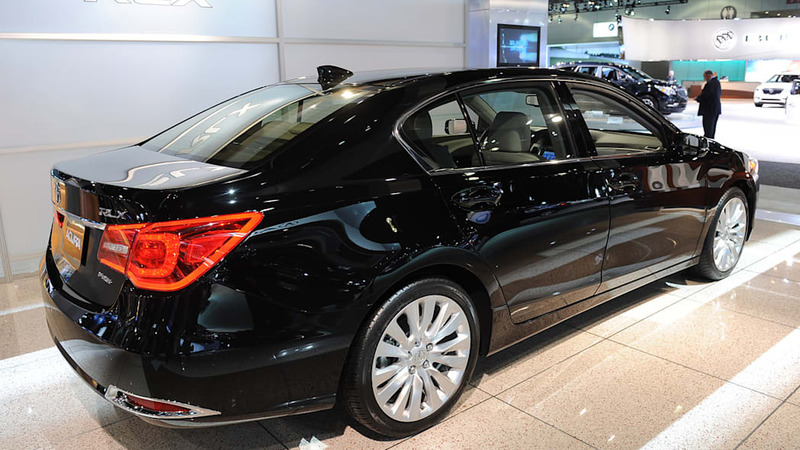 Additional exterior features available on the RLX include an acoustic glass windshield and door glass, integrated power rear sunshade, front and rear parking sensors, heated and auto-dimming side mirrors, and rain-sensing windshield wipers. The RLX interior features premium, soft touch materials throughout, with the tasteful application of premium metal and wood-grain accents. A stitched leather instrument panel, center console and steering wheel, along with available Milano perforated leather seats, communicate a new level of craftsmanship and refined luxury appeal in Acura's top-of-the-line sedan. Luxury form and function are smartly integrated in the RLX's new center console, featuring dual screens – an 8-inch Navigation screen and a 7-inch On-Demand Multi-Use Display™ touch screen – that provide easy and direct one-touch access to key functions, including audio, climate control, navigation, and text-to-voice SMS text message functionality. The sliding, leather-trimmed armrest conceals a dual-hinged center storage compartment with easy access for both the driver and front passenger to USB connectivity, 12-volt accessory power outlet and space to store tablets and other electronic devices. Additional interior comfort and convenience features include push-button start, power tilt and telescoping steering, power sunroof, tri-zone automatic climate control, and Bluetooth®3 HandsFreeLink®. The standard 10-speaker ELS® audio system includes HD radio™, XM radio, Pandora® interface, USB connectivity, and an auxiliary jack. The RLX with Technology package is equipped with a 14-speaker Acura/ELS® Studio premium audio system. The Krell Audio and Advance grades receive an ultra-premium, 14-speaker, Krell audio system that sets a new benchmark for high-fidelity sound in a luxury vehicle. Whether on a serpentine mountain pass, congested city street, or cramped airport parking deck, and in all weather conditions, the RLX with Precision All-Wheel Steer™ (P-AWS™) is designed to deliver an unprecedented level of handling precision and control in a two-wheel drive luxury sedan. Working in concert with Vehicle Stability Assist® (VSA®) with Traction Control, and Agile Handling Assist dynamic braking system, P-AWS™ provides enhanced vehicle stability, maneuverability, and control. The RLX's handling performance is further elevated by its new double-wishbone front and multi-link rear suspension system with Amplitude Reactive Dampers, and new high-output, belt-type electronic power steering. All RLX models have 4-wheel disc brakes with high-friction pads and a 4-channel anti-lock braking system (ABS), along with new Hydraulic Brake Boost that improves brake pedal feel. New Electric Parking Brake with Automatic Brake Hold, and high-efficiency Vehicle Stability Assist™ (VSA®) are additional firsts for Acura. i-VTEC® V-6 engine with Variable Cylinder Management™. 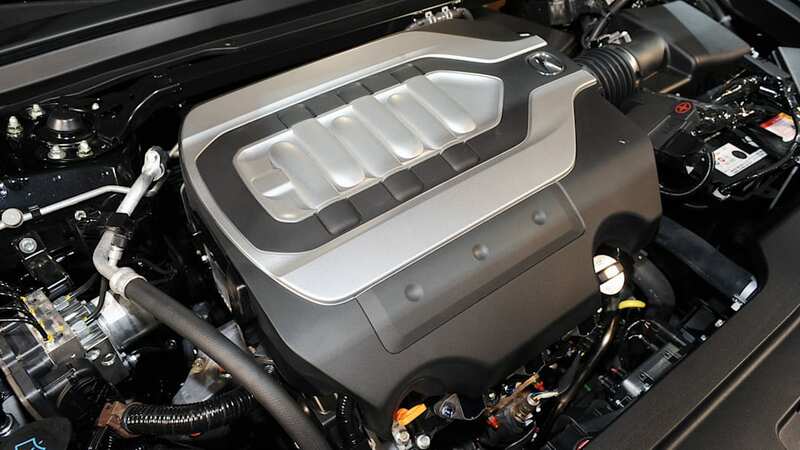 Rated at 310 horsepower, the engine delivers exceptional drivability, with more than 90-percent of its peak 272 lb.-ft. of torque available from 2000 rpm to 6600 rpm. Variable Cylinder Management with 3-cylinder and 6-cylinder operation works in concert with the VTEC valvetrain to deliver superb cruising efficiency. The engine is mounted to a lightweight and rigid aluminum front subframe using a vibration-canceling Active Control engine Mount (ACM) system. 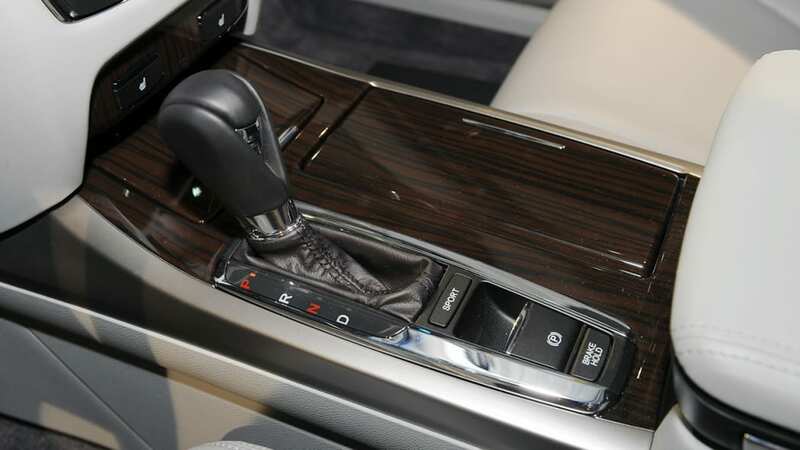 The new engine is mated to a reengineered Sequential SportShift 6-speed automatic transmission with revised gearing, an intuitive selector and steering-wheel-mounted shift paddles. A driver-selectable Sport mode provides more aggressive shift points and more pronounced engine braking during deceleration, along with manual operation. 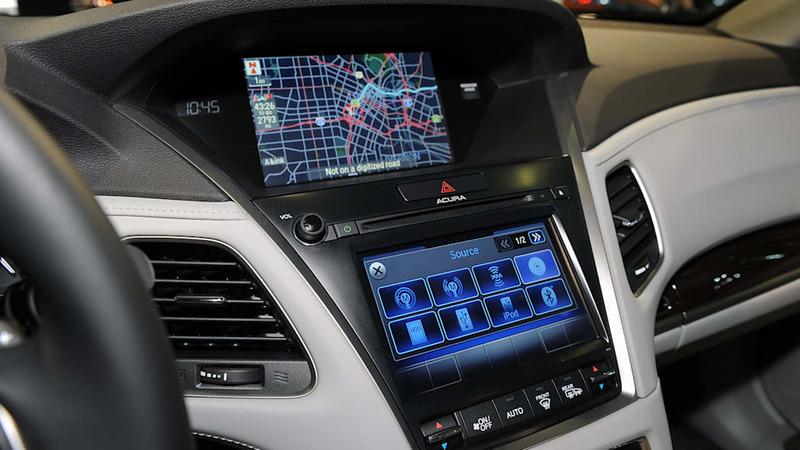 The RLX is equipped with the next-generation AcuraLink® cloud-based connected car system, delivering a comprehensive array of media, convenience, and security services via embedded two-way communications and web-enabled devices. AcuraLink® leverages the Aha™ by Harman cloud-based interface to provide users with thousands of customizable cloud-based news, information and media feeds. Next-generation AcuraLink® also delivers an array of available, subscription-based, security and convenience features, such as AcuraLink Real-Time Traffic™ featuring freeway traffic and, for the first time, surface street traffic information; airbag deployment notification; stolen vehicle tracking; remote locking and unlocking; security alarm notification; and 24-hour personalized concierge services. The RLX offers a bevy of leading-edge safety technologies, including standard Lane Departure Warning (LDW), Forward Collision Warning (FCW), seven smart-deploying airbags including a driver's knee airbag, and Acura's next-generation Advanced Compatibility Engineering II (ACE II) body structure. The RLX is anticipated to earn top-level safety ratings, including a 5-star NCAP Overall Vehicle Score2. The RLX is also expected to join the Acura TL sedan in earning an IIHS TOP SAFETY PICK+ rating, including a GOOD rating in the stringent new IIHS small overlap frontal crash test. The RLX also offers a comprehensive list of advanced visibility and driver-assistive technologies, including the standard Expanded View Driver's Mirror and Multi-View Rear Camera with Dynamic Guidelines, along with available Lane Keeping Assist (LKAS) system, Collision Mitigation Brake (CMBS) system, Adaptive Cruise Control (ACC) with Low-Speed Follow, Blind Spot Information (BSI), and front and rear parking sensors. Class leading interior space based on the RLX's longer wheelbase and efficient packaging. At 196.1 inches, the RLX is similar in length to the outgoing RL, but it has a two-inch longer wheelbase and is nearly two inches wider, placing the new RLX well above the norm in the mid-luxury class. 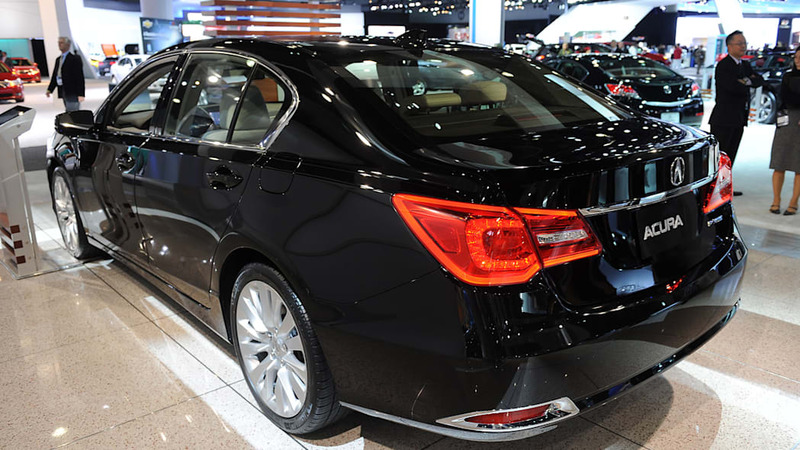 The flagship RLX sedan has up to three inches more rear legroom than competing models, including the BMW 535i, Lexus GS350 and Audi A6. Extensive use of lightweight materials includes the application of strength steel to 55 percent of the body, and the intensive use of aluminum-for the front fenders, hood, steering hangar beam, front and rear bumper beams, front subframe, and all-new "hybrid" front and rear door panels (steel inner structure mated to aluminum outer skin). The RLX weighs in at 3,933 pounds. Static bending and torsional body rigidity are up 52 percent and 46 percent, respectively. 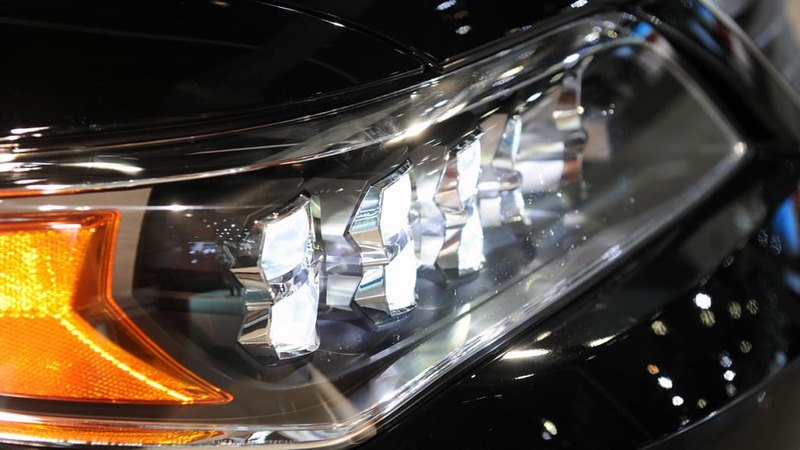 Jewel-Eye™ LED headlights (an Acura first) LED lamps enhance the RLX's modern and distinctive appearance while providing outstanding light distribution and improved down-the-road illumination. Acura Navigation System with Voice Recognition™ offers a wide range of search options including local search functionality and AcuraLink Real-Time Traffic™ for both highways and surface streets. Agile Handling Assist (an Acura first) uses active braking to help the driver smoothly and easily trace the desired line through a curve with smaller steering inputs. Electric Parking Brake (an Acura first) provides one-touch parking brake activation. Automatic Brake Hold (an Acura first) maintains the vehicle's position when the driving or parking brake are released until the throttle is depressed. Adaptive Cruise Control (ACC) with Low-Speed Follow (an Acura first), allows the RLX to independently maintain a set following distance in low-speed traffic situations, including stop and go traffic, and to initiate vehicle braking when necessary. Forward Collision Warning (FCW) uses a camera mounted in the upper portion of the windshield to detect vehicles ahead of the RLX and audibly and visually alert the driver when it determines a frontal collision with a detected vehicle is possible. Lane Departure Warning (LDW) uses the same windshield-mounted camera to detect lane markings on the road and alerts the driver if the vehicle is wandering from a detected lane. Front seatbelt e-pretensioners use electronic control to reduce belt tension under normal driving conditions, while also enabling automatic belt tensioning in hard cornering maneuvers or in the event of a collision. Multi-angle rearview camera with dynamic guidelines uses dynamic guidelines that reflect steering wheel inputs on the display to aid in backup maneuvers. Capless fueling (an Acura first) eliminates the fuel cap and improves ease of fueling.